Individual tickets are now on sale for our annual fundraiser! 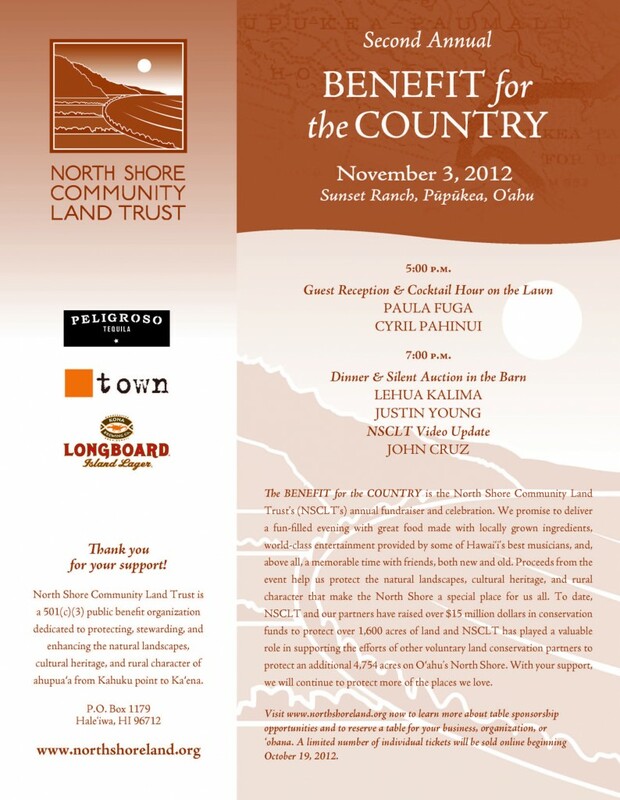 Buy your tickets today at www.northshoreland.org and join us in supporting land conservation on Oahu’s North Shore. We expect 500 to 600 guests in Sunset Stables for a ‘Town and Country’ hoedown! 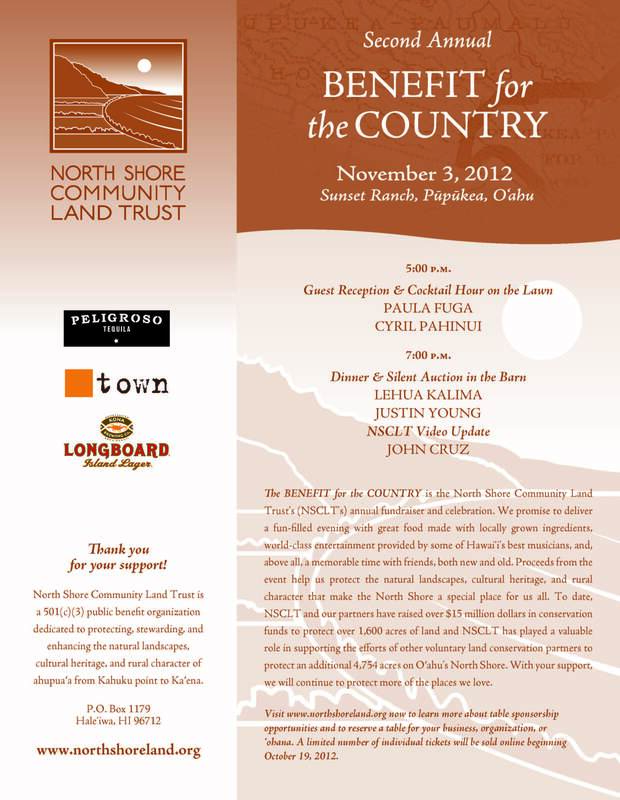 This is THE event of the year on the North Shore. Don’t miss it! Mahalo nui loa for support.